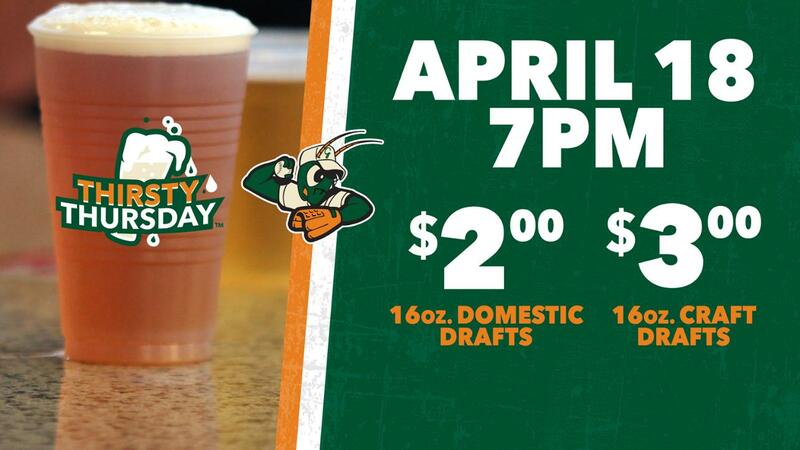 Join us Thursday, April 18 for a Thirsty Thursday™, featuring $1 soda, water and discounted drafts ($2 domestic and $3 craft) throughout the ballpark! Gates at First National Bank Field open at 6:00pm and first pitch is scheduled for 7:00pm. Go Hoppers!